All the features you need for fun on the water. 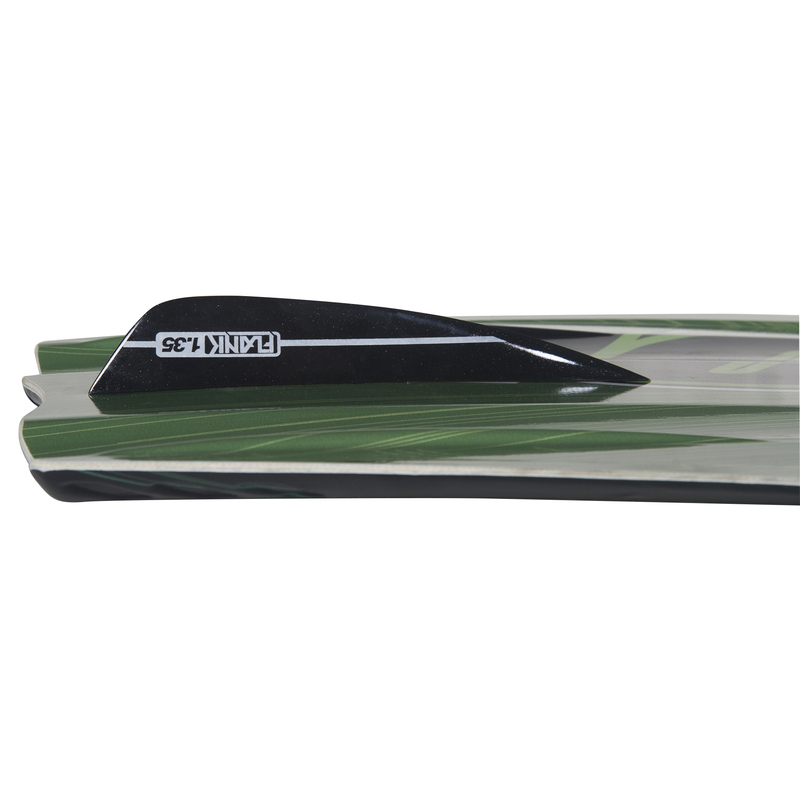 The sweet continuous rocker and center fin provide a stable platform for learning new moves. 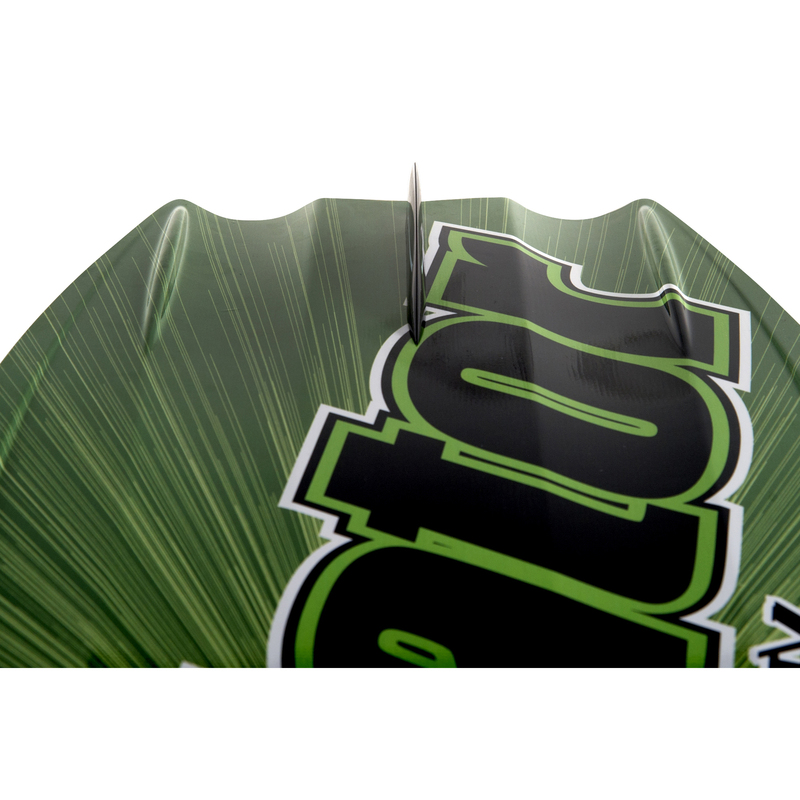 Molded side fins and huge double-barrel channels let the Matrix track on edge and explode off the wake. A great board for those just starting out in wakeboarding. 1.35" flank fin. 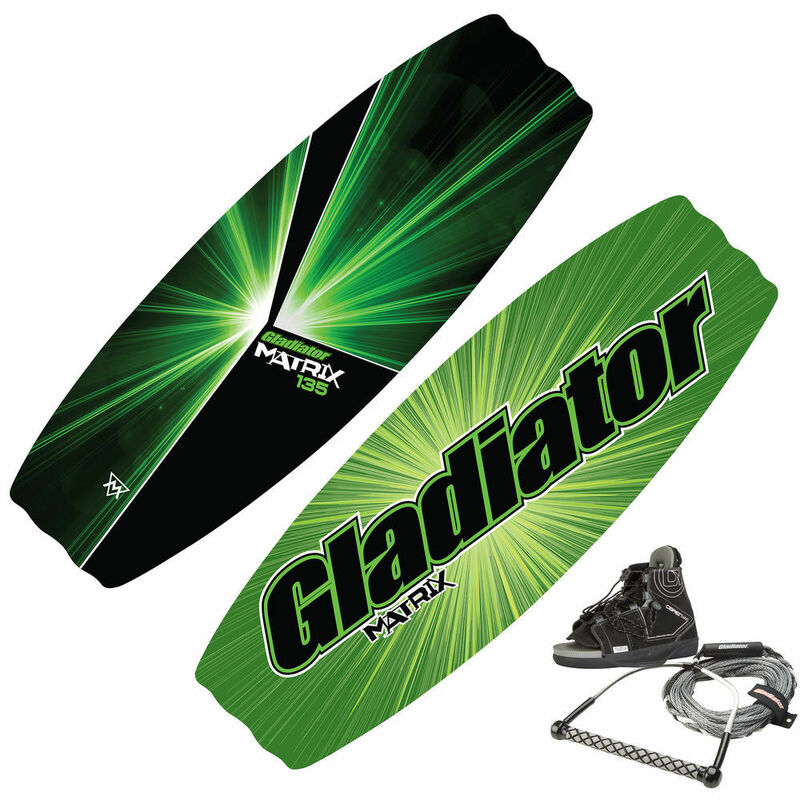 The Gladiator Wakeboard Handle with 1.1" diameter is 15" wide and has a molded EVA grip that's soft and durable. The exclusive 3-section, 75' Static Line mainline is made using a lightweight weave that provides less stretch and greater strength than polyethylene rope. 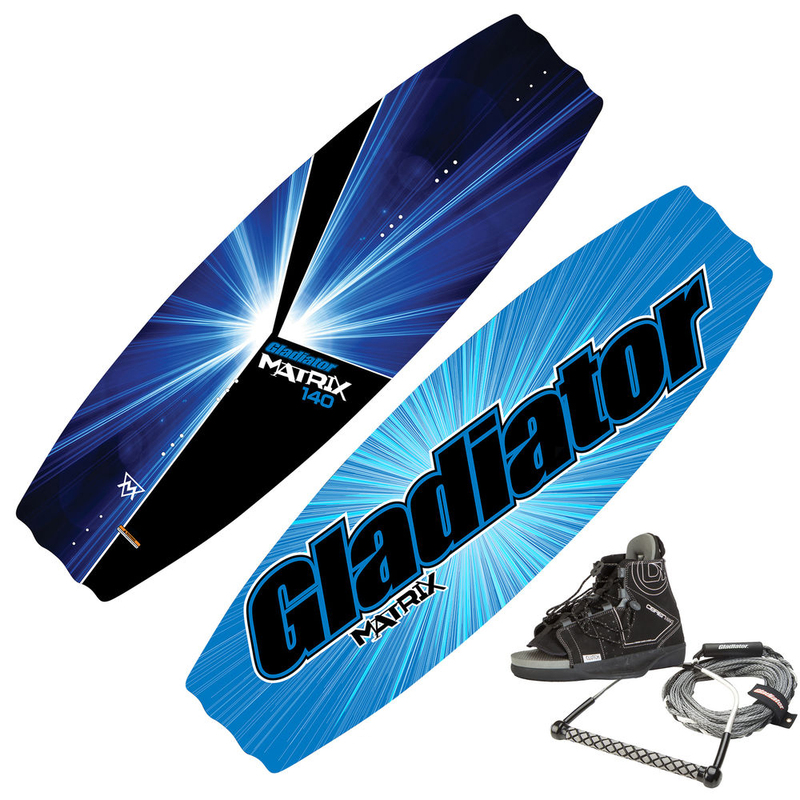 The Gladiator Wakeboard Handle and Static Line comes with a convenient rope keeper. Clutch Bindings: The open-toe design of the Clutch Boot keeps it flexible, while the free-flex tongue opens wide for easy entry. Strobel-lasted liner is comfortable and provides more contour for your foot. Wakeboard boot has comfortable footbed. 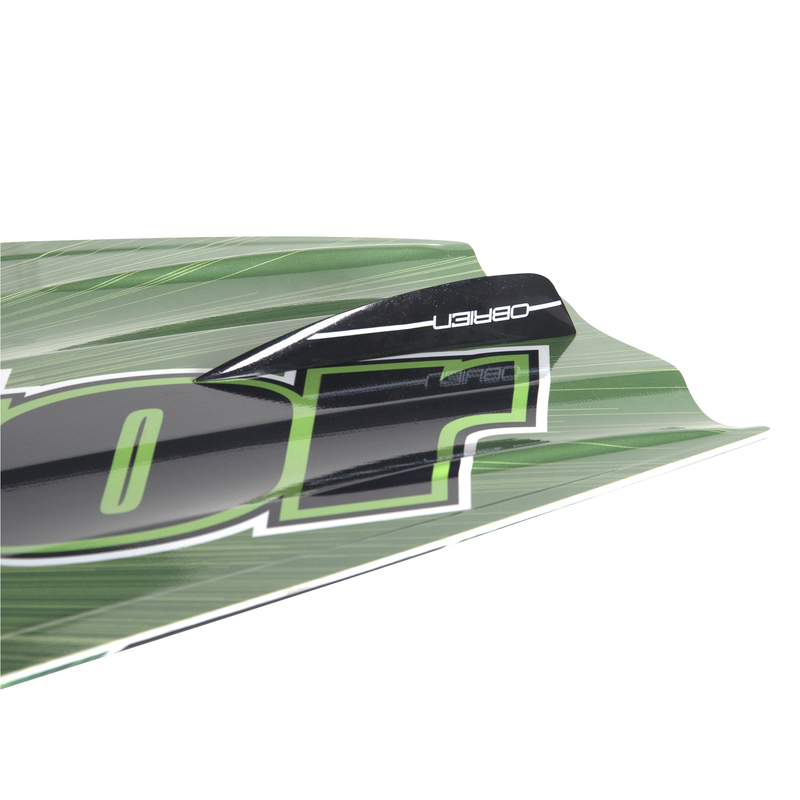 The 2° canted chassis keeps your stance more natural which means less stress on your legs while riding. A 5-point adjustment system lets you customize your fit. Captive thumbscrew system prevents you from losing your hardware. CMEVA outsole. Sold as a pair. Clutch Boot sizes: XS(Junior 2-5), S(5-8), M(8-11), L(11-14).